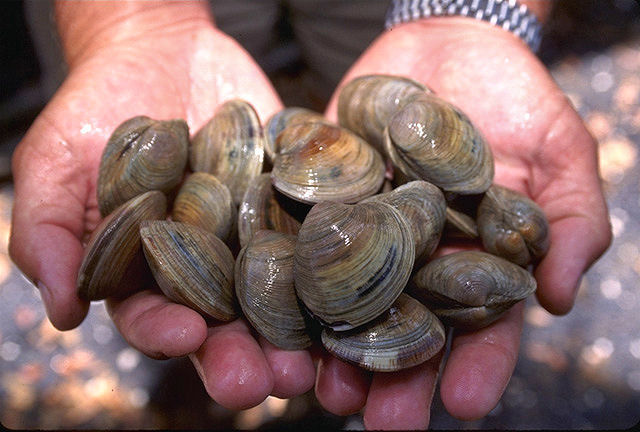 Hard clams (Mercenaria mercenaria), commonly called quahaugs; public domain USDA photo on Wikipedia. The name "quahog" comes from a Native American (Narragansett) word "poquauhock." The quahog's scientific name, Mercenaria mercenaria, is from the Latin word for "wages" (Native Americans used quahog shells to make beads that they used as money, or "wampum").